Delivered on August 26, 2012, on the eve of the election season. 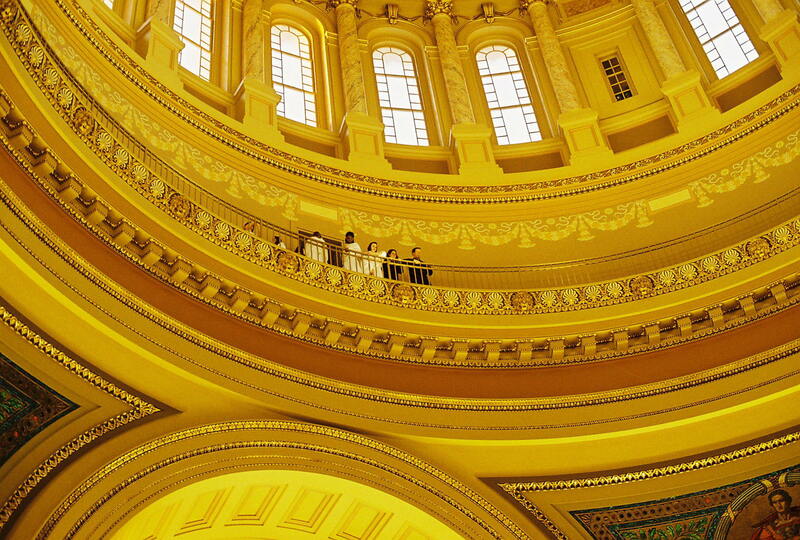 How should we be able to identify a Christian voter? We could have several answers. You can tell by their bumper stickers and yard signs. You can tell by their side comments when they hear a news cast or a political commercial. You can tell if they hold all the correct positions on the political issues. I want to suggest that there is a better mark. A Christian citizen who votes and who cares for this country should be marked by a way of thinking, acting and speaking…. Thank you readers who have brought our official reader total to 35,107. We are not sure if this includes peole who get this on Google Reader and the like. Such technical expertise is above our pay grade. We share this population with the city of Kearney, Nebraska. 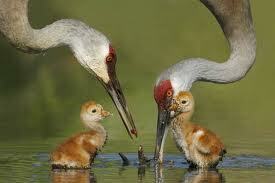 This is also known (on their website) as the sand hill crane capitol of the world. 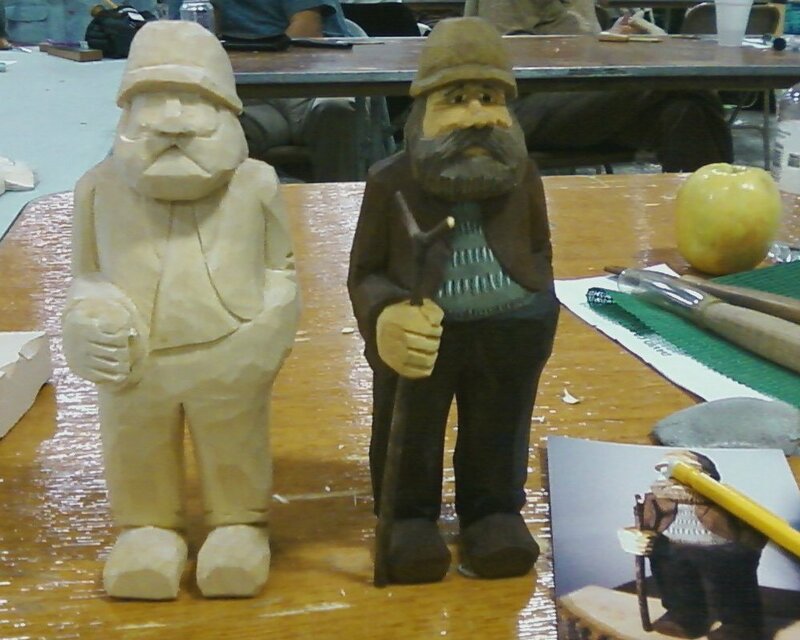 This is from a class in “Scandinavian style Figures” at the Carv-Fest in Faribault, MN. Mine is the unpainted one, which is now fully carved and awaiting a walking stick and a paint job. 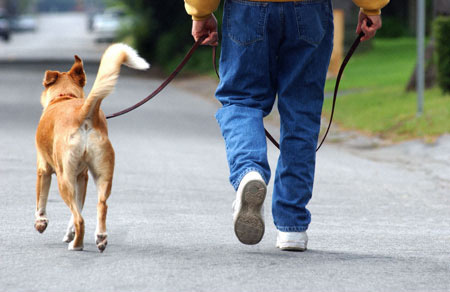 If you follow this blog, you know that it follows along, like “man’s best friend” wherever the preacher’s studies take him. The fall is here. We can tell because the days are cool enough for us to look for a sweatshirt. And so I have been thinking about preaching this fall. If there is a theme it is that we live in two worlds. The world of the future for a Christian is majestic and mysterious. We read with anticipation the descriptions of the Heavenly City in Revelation 21 and 22. We wonder what life will be like without sin, death or the devil to pester us. We have assurance in Christ that our citizenship is certain; that our names are in the book of Life. The present world is beautiful and bothersome. When I see deer on a hillside, jewelweed in the meadow and a nuthatch flying in the trees, I give thanks to God as Creator. Others see no God – only the rarest of chances that took place so this world exists, but for no purpose and with no hope. They see the problem of evil in the world and say it disproves God. We are ambassadors of the world to come to this world and the people around us. So then we need to be thoughtful and aware of this world as we point to the world to come. In September I plan to preach on the importance of loving God with your mind. We should be aware of the logic and evidence of God in the universe. In October I plan to show how the arts are a way to see this good earth and the Artist behind it all. In November we will consider the importance of gratitude as we study Psalms 146 to 150. And in December, we will explore the Gospel of John for what it says about the One who made it all and then entered the world he made. one day in seven there was no work but rest. In Exodus 20 this is explained because God’s rest on the 7th day of Creation (Genesis 1) and in Deuteronomy 5 it is explained by the fact that they had been slaves in Egypt (Exodus). one year in seven, the land was to rest. we have come to see the wisdom of letting land rest from the activity of cultivation. One year in 49, (7 x 7), all debts between Isrealites were cancelled, and all family land was returned. These things all speak to the need to know life as more than work. Since God entered his rest on the Sabbath, we are to find our rest in him. Since God provides our needs (even though we work) we are to trust him enough not to work or to plant. Since God provides for us, we are to provide through forgivenss of debts. I find the the sermonizer needs rest – three weeks to read the bible just to read it, not for producing anything. Three weeks not to meet the Sunday deadline (or any of the other deadlines). It is not only helpful, it is necessary. Just thought I’d check in so you know I am alive.